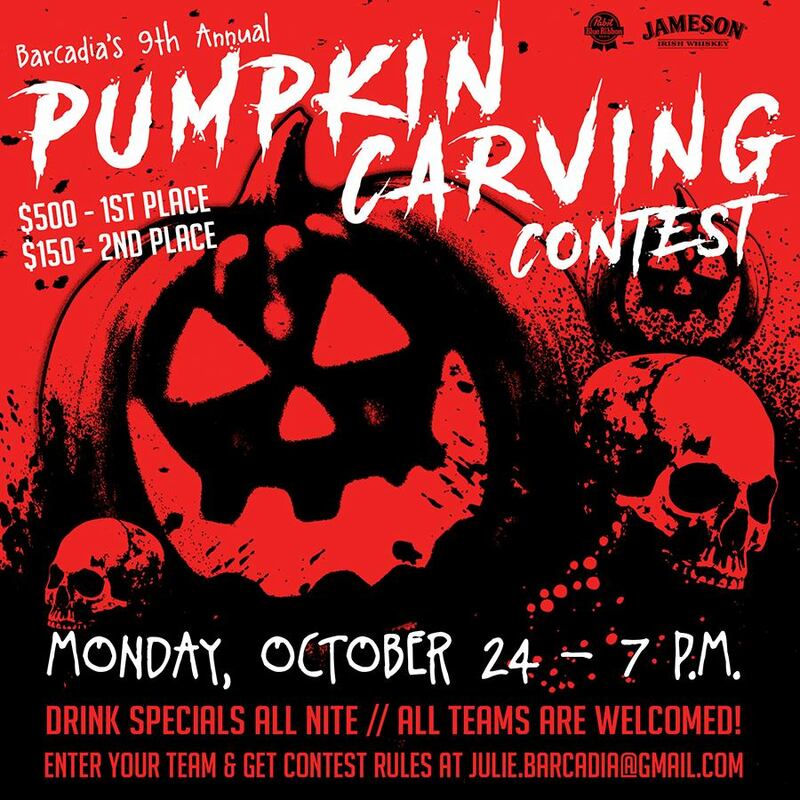 9th Annual Barcadia Pumpkin Carving Contest. Monday, Oct 24th 2016 @ 7pm. Grab your friends or colleagues and battle again some of Dallas most popular bar staffs! 2015 Champion Doublewide/Singlewide crew is already claiming another victory. To register you team or for carving rules contact Julie.